Home » About Our Blog » Before Buying Instructional Materials, What Would You Ask? Before Buying Instructional Materials, What Would You Ask? In the July 15th issue of Education Week, there was a tech-related article about personalized learning titled: “Before Buying Technology, Asking ‘Why?’ ” The same can be asked about the K-12 instructional materials selection process. Before you purchase anything, ask “Why?” Why is your proposed selection the best choice? Yet there are other key questions that must be asked. When we sampled school districts to better understand the cost of the selecting instructional materials (IM), we found that there are hidden costs. We learned more about the cost of selecting IM that remained unused within each district. Our sampling showed the value of unused materials sitting in district warehouses ranged from $50,000 to well over $1 million. Of course, this range was not a yearly total, but one that was a cumulative effect over a period of several years. So how can you best optimize a standards-aligned selection process that will use every dollar of the IM budget toward resources that your teachers will use for the next 6-8 years? Ask the critical questions before you buy. Districts often ask us which questions they should be asking publishers. Our editorial reviews answer the key questions the research suggests that differentiate high quality instructional materials. We also provide publishers’ answers to the 12 most commonly asked questions from district RFPs across the country. 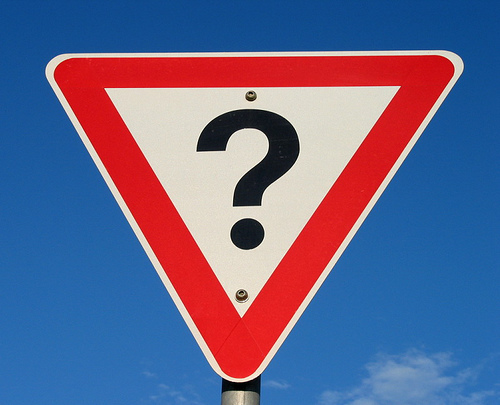 Before Buying Instructional Materials, What Are the Key Questions You Ask Publishers? We look forward to your responses via the comment field of this blog or through Twitter via @LearningList using #IMkeyQs (hashtag for Instructional Materials Key Questions). All answers will be compiled anonymously in an upcoming blog post by the end of July. Thank you for participating.